Your colors are amazing and your little hour glasses are off to a great start. I'm doing it too! I love the colors you chose. I'm using green, pink and purple with neutral. 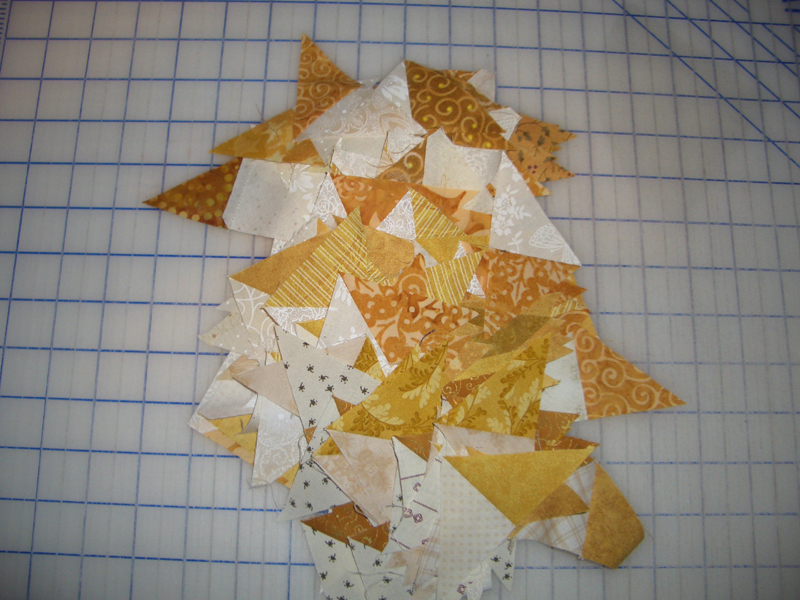 Will end up taking me about 8 hours to make the 244 QSTs but I'm almost done! Hope this is one of her more difficult hints! I am sewing Bonnie's mystery too. I like your colors. I am glad to see someone else not using black and white. Mine are blues and creamy yellows. Ours will really be mysteries! Pretty golds. You've made a lot of progress so far, this step does seem to be taking a lot of time. I'm sure it will seem easy compared to the string blocks coming up. So worth it in the end though. what great colors!! Can't wait to see how your's progress!!! You are the second person I have seen using these colors. It will be interesting to see how this all plays out. I like your colours. Looking forward to see the completed quilt! 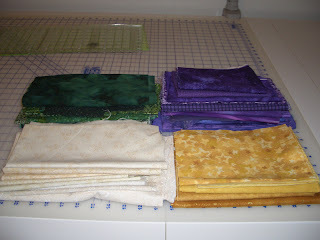 I am interested to see how your quilt will look, such different fabrics. Isn't fabulous to see all the different colour combo's? I can't even start yet as my rulers haven't arrived! Love your colour choices!! So glad you can play along with the mystery! Oh my love your fabrics for Orca Bay.